What’s my current map version and what MMI do I have? 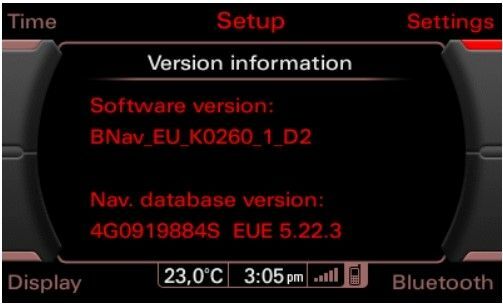 Without firmware you can’t update your MMI, it’s also quite important when you want to update maps – they will not be working without latest available firmware! 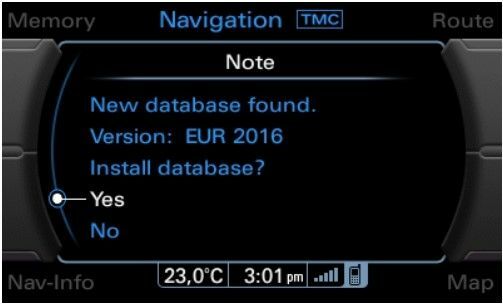 First of all, you have to recon which MMI your car have. 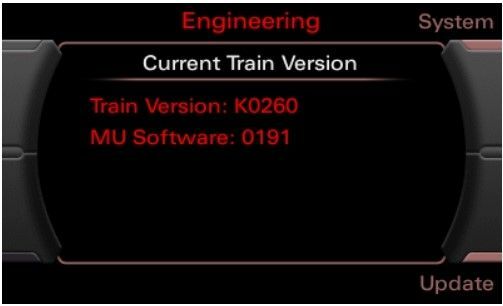 The best way it’s just to go to the Engineering menu and check the current firmware version. 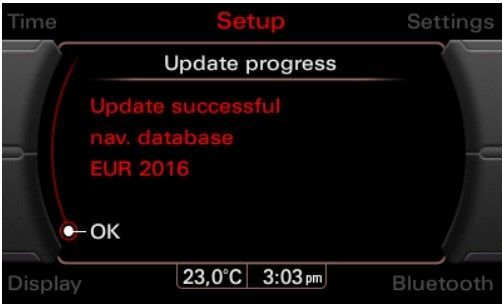 You can enter there by pressing the CAR and SETUP (or sometimes MENU or BACK) buttons on your MMI console. When you get to the engineering menu, you will see screen like above. Most Trans it’s your currentMMI version. 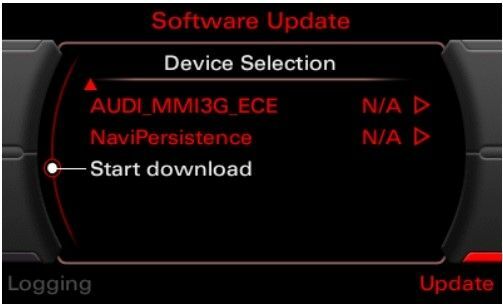 How to get latest maps for my MMI. 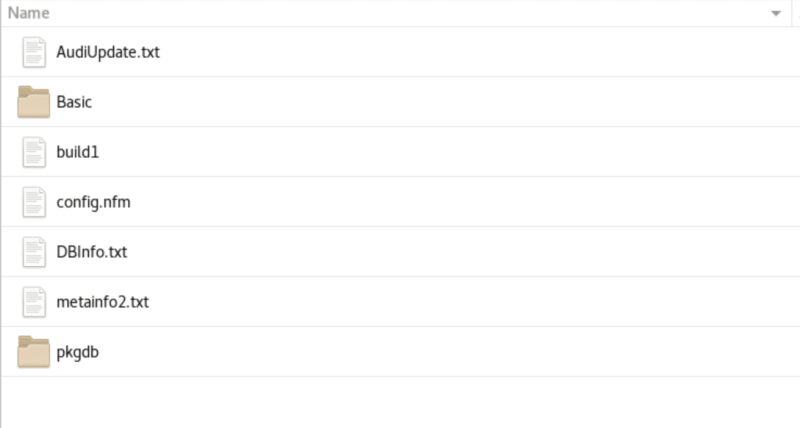 If you now know what’s your current maps version and type of MMI, you can download maps from here! 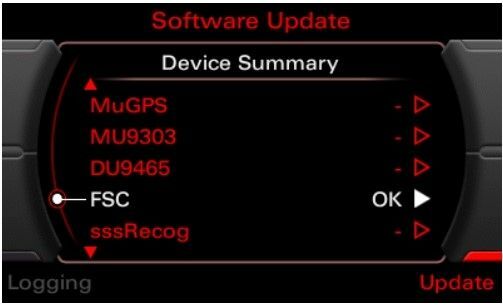 But please be careful, because different MMI systems has a different map update. 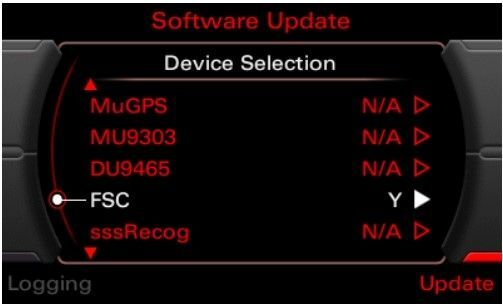 If you have MMI 3G PLUS you have to looking for MMI 3G Plus maps, same for MMI 3G High and Basic. All maps are selling separately on our website. PLEASE BE AWARE! 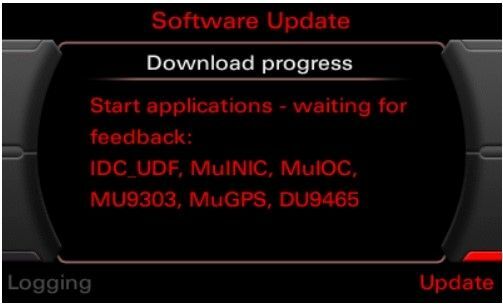 DOWNLOADED FIRMWARE / MAPS FROM TORRENTS OR OTHER UNKNOWN SOURCE MIGHT BRICK YOUR MMI. WE ARE SELLING ONLY GENUINE SOFT & MAPS FROM AUDI GARAGE! 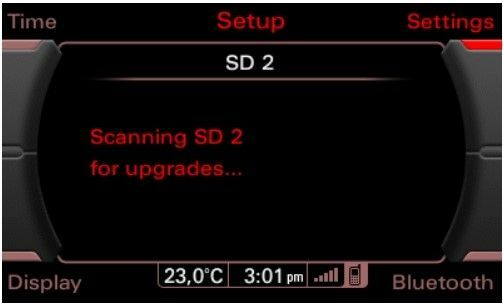 Format your SD CARD in FAT32. 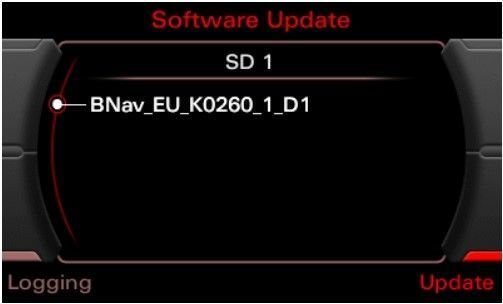 Copy the root of your map in the SD card (like picture below). Please do not use macOS to copy the files. 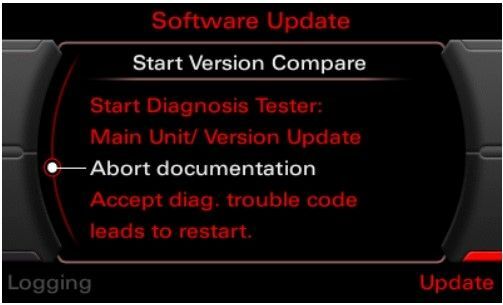 MacOS creating lots of hidden files which can corrupt update process. 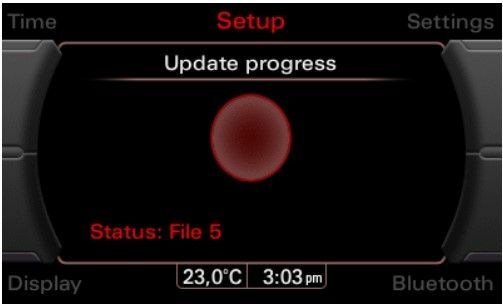 How files should looks like on SDCARD! – Without parent folders. Coping 4-5 relatively small files in the MMI memory. 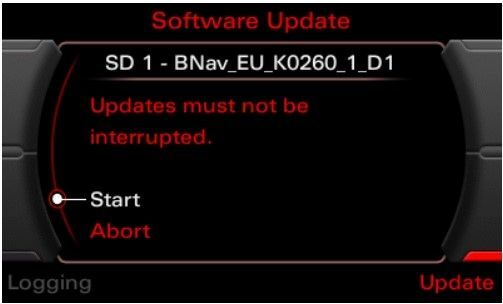 Caution: Do NOT insert the SD until MMI has fully booted you can brick your unit! 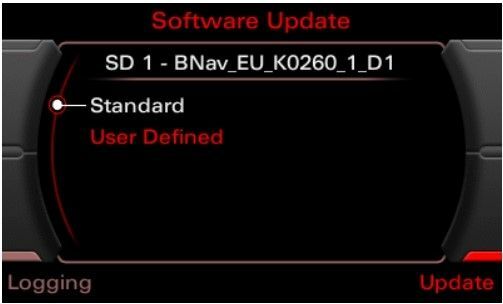 Caution: Please double check that you’re using the correct activator for your firmware, using incorrect activator will result in a bricked (dead) MMI unitFormat your SD in FAT32. 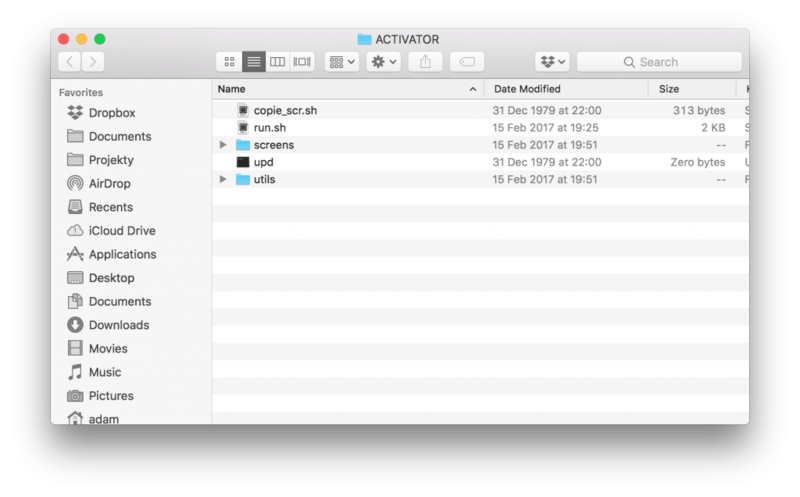 Copy the root of your activation in to the clear SD card – it has to be formatted to FAT32! 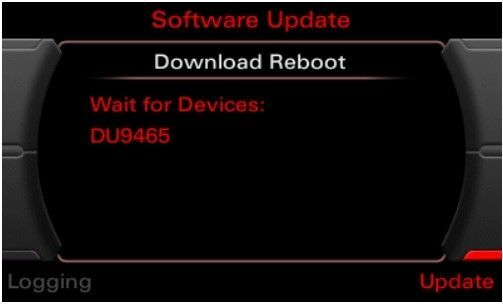 Make sure that MMI is fully booted – after final reboot! 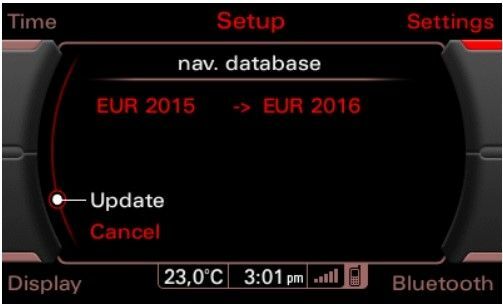 (press all buttons once RADIO, CAR, NAV, MEDIA, TEL). Wait until all options are ok (no options in grey) even when all options are ok wait a minute more. 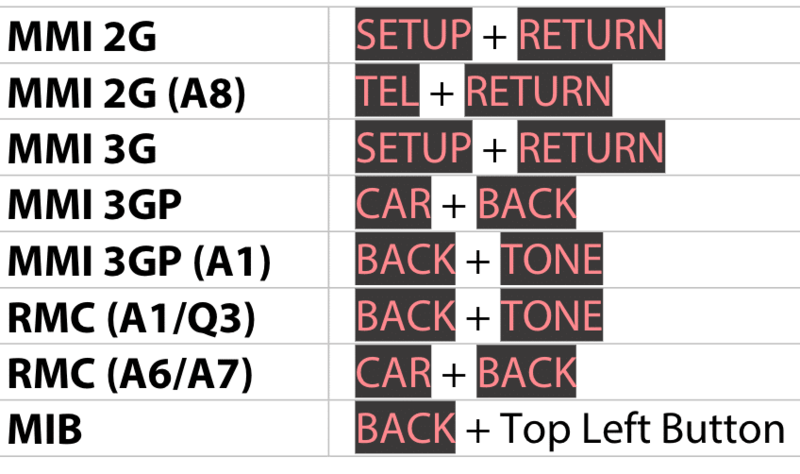 Insert the SD card with the activator in one of the two SD slots and press “Setup” + “Return” on the MMI keyboard. 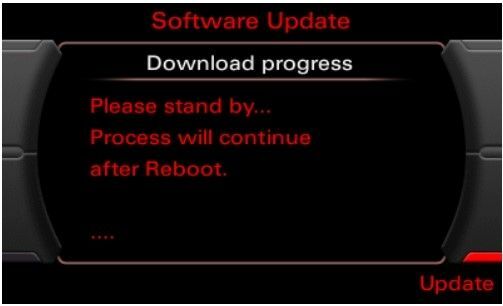 Hit “Update” – bottom right soft key. Find and make sure that FSC is selected. 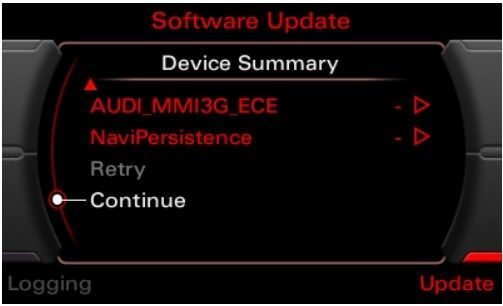 Device Summary screen is displayed in the subsequent overview screen. Scroll down and select “Continue“. 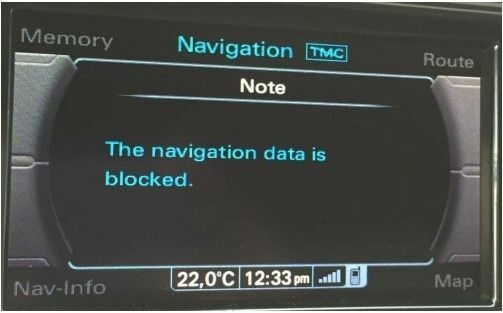 Because you don’t have connection to Audi SVM you have to “Abort documentation” here. This is the reason for 03276 Please Check Software Version Management in 5F Information Electr. 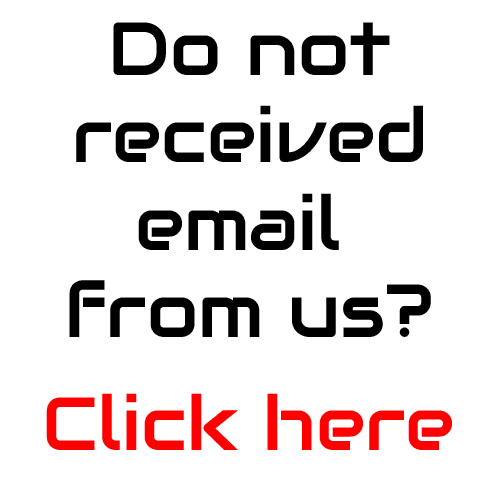 Previous Previous post: 03276 – Please Check Software Version Management – How to remove?